I’m in the Masai Mara for the great annual zebra/wildebeest/tourist migration. The migration climax is when the herds ford the crocodile infested Mara River, so I spent a morning watching at a crossing point. There weren’t many wildebeest crossing that day, but I saw two herds of zebra cross. 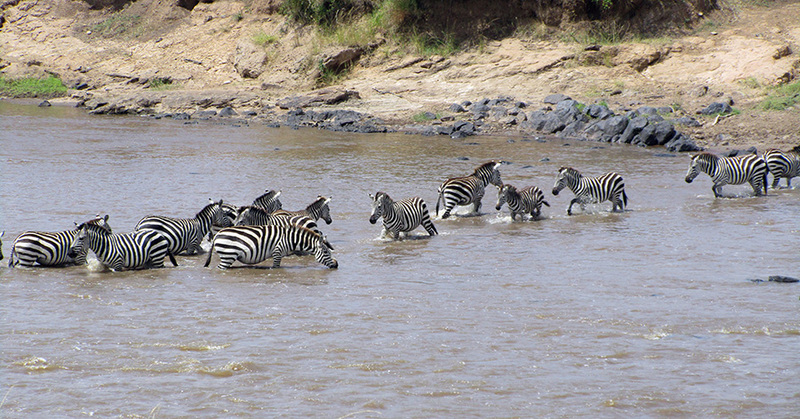 There were crocs waiting, so the zebras dithered for a very long time before taking the plunge. For reasons best known to themselves, a zebra herd on the North bank had decided to move South and a herd on the South bank had decided to move North, so I got two watch two files of zebras pass politely in mid river. Umm, how can this be optimal? This is why it is so important to always carry a reliable guidebook when you are migrating. 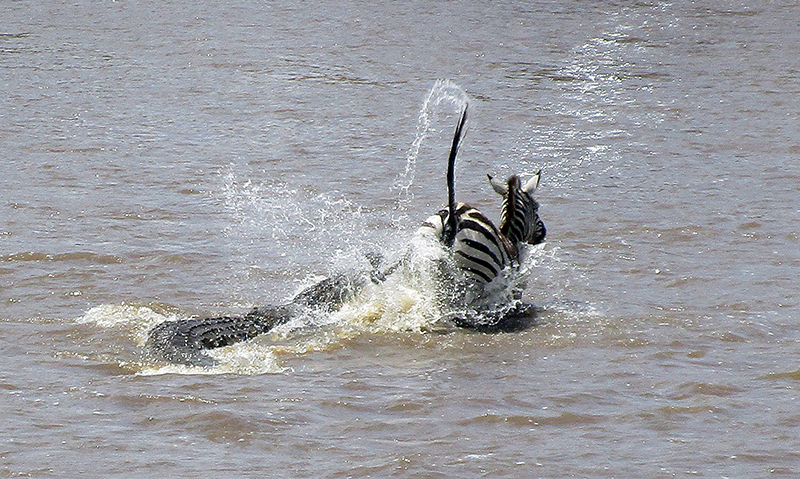 The crocs grabbed at several of the zebra, but much to my surprise, the first few managed to frantically kick their way free. But eventually the crocs got one and dragged him underwater. The other zebras continued on, business as usual.